Shri Shiv Mangal Sonkar, U.P. Text Writer: Shri Arun Singh, U.P. Regional Interactive Camp of Contemporary, Folk, Tribal and Traditional Artists concluded with an Exhibition of artwork executed during the Camp on 17.3.15 at 5.00 p.m. A number of local artists, art lovers, participants of the Camp and media persons attended the closing ceremony. Print and electronic media covered the programme. Installation Camp: Lalit Kala Akademi Regional Centre, Lucknow organized an INSTALLATION CAMP from 13 to 20 December 2014 at its campus. This programme was held as part of Lucknow Banaras Utsav organised by Ministry of Culture, Govt. of India. In first part, this Camp was held at Lucknow between 13 & 20 December 2014 at LKARC Lucknow. North East Print Making Camp: Lalit Kala Akademi Regional Centre, Lucknow organized a North East Print Making Camp from 7 - 14 January 2015 at its premises comprising most of the young and upcoming artists, five from the North East States and five from the Centre’s region i.e. Rajasthan, Gujarat and U.P.. The Concept of this workshop was to bring artists of print making discipline from different states closer in order to discover new creative dimensions and also to give them a platform to interact with each other in the duration of Camp at the Centre. This was a unique opportunity for the North Eastern artists to visit Lucknow and come across its diverse culture of Awadh. During the above Art Camp, apart from one day local sight seeing trip, a CD/Slide show of participating artists was held. The Valedictory Function was organised on14 January 2015 at 5.00 p.m. with an Exhibition of executed art works in the evening at RC Lucknow galleries. A good number of visitors, art lovers and art students/artists witnessed the event. The print media covered the programme. 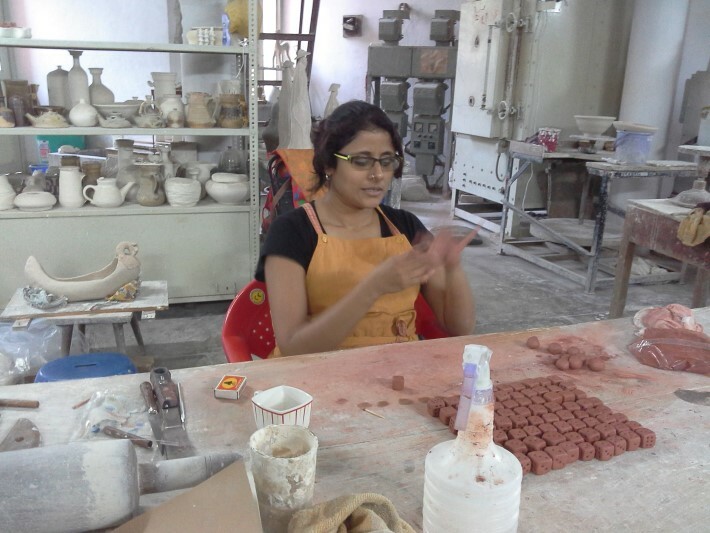 REGIONAL SCULPTORS CAMP (STONE CARVING): Lalit Kala Akademi Regional Centre, Lucknow organized REGIONAL SCULPTORS CAMP (STONE CARVING) FROM 6 to 15 November 2014. Prof. P.Chandravinod, eminent sculptor delivered the valedictory address at the closing function of the Artists Camp and inaugurated the Exhibition of artworks created in the Camp on 15 November 2014 at 5.30 pm at RC Lucknow. Lalit Kala Akademi Regional Centre, Lucknow organised the programme - North East Painters Camp at Diu In collaboration with WZCC, UDAIPUR from 15 to 20 September 2014, Duration 6 days. Ten artists (5 from North East Region and 5 from UP, Rajasthan and Gujarat) were invited to take part in the Camp. Out of which, the following 9 participants attended the Camp.